The final attendance numbers for the 2017 AHR Expo won't be in for, probably, a couple of weeks. If I had to guess, I'd say that number will be much closer to 70,000 than the original pre-show estimate of 60,000. I always enjoy walking around the show and seeing all the new technologies. Through my blog recaps, and my live tweeting during the show, I hope you were able to get a good sense of what AHR Expo has to offer. 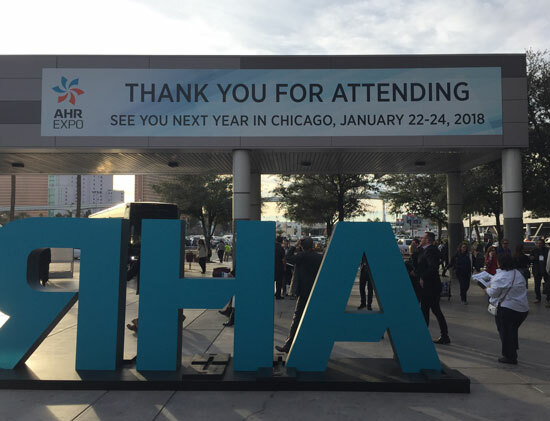 While I highlighted a lot of products last week, I didn't devote as much space to talking about the AHR Innovation Awards. The AHR Innovation Awards honor the most inventive and original products, systems and technologies showcased at each year’s Expo. That said, I encourage you to check out the AHR Innovation Award Winners. Finally, if you attended the show, I hope you were able to bring one at least one idea to implement. Whether it came from one of the business seminars or product demos, talking to exhibitors or networking with fellow contractors, what happened in Vegas should not stay in Vegas. An event such as the AHR Expo is only beneficial if you bring a part of it home with you.